So are you constantly battling with styles and unsure of what style suits you? Fat Cat is here to help you find your face shape and the styles that you will look good, comfortable and presentable in. However always remember, beauty comes from within. Islam’s aim is for us to be true to ourselves so fashion conscious or not, always be true to Allah and yourself. Fat Cat’s sole goal is to ensure that other fellow cats do not feel awkward and uncomfortable and instead feel confident and good, why would the cat that got the cream want anything else. Fat Cat’s advice: Measure your face to know what shape it is! Pull the tape measure from the peak of one eyebrow arch to the peak of the opposite arch. Record that number. Measure across your upper cheeks, starting and ending at the sharp bump below the outer corner of each eye. Measure from the tip of your chin to the point below your ear where your jaw angles upward. Multiply that number by two. Measure from the centre of your hairline to the tip of your chin. Length of face is equal to 1.5 x the width. Jawline is slightly narrower than forehead. Sometimes a long or rectangular face can be similar to the oval shape, so you might need to experiment with hijab styles. Your Length and width of the face are similar. Your face around the cheeks is fuller. 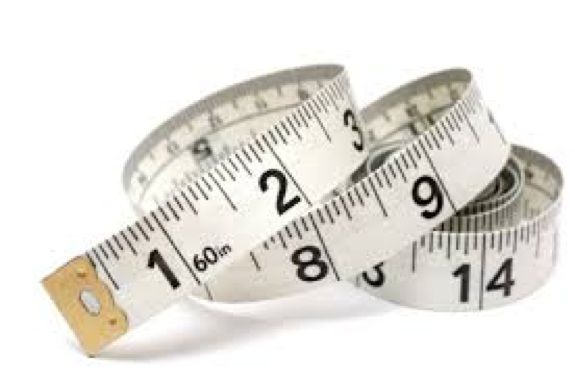 Your cheekbones and face length have a similar measurement. They are larger than the forehead and jawline which are also similar. Widest part of the face is the cheekbones. You have a round chin. The angle of the jaw is soft. Width and forehead is roughly the same. Width around the temples is wider compared to rest of face. The width, Length and jawline are all roughly the same. The hairline can also be square. You have a strong sharp jaw. Square faces are easy to spot! Your face is widest at the cheekbones. You have a narrow forehead and jawline that are about equal widths. Your jawline is the smallest and the chin pointed. Now onto the hijab styles! Select which shape is yours and get your Fat Cat exclusive tips! You are one of those girls that other girls would love to envy. One of the most wanted shapes in face shapes, the Oval face makes any hijab look good! You can wear any style usually and get away with it. Try wearing your hijab high on your forehead, this looks great on oval faces. Create a structured rectangular style around your face, this will reduce the narrowness around the cheeks and help plump up cheeks. Diamond styles hijabs look quite beautiful as your full face can be seen. Some people also do side parting with the hijab to make the face look more elongated. Use under-caps if you want to shorten the look of your face – they give you a much more rounded look. Avoid styles that would narrow your face further for example styles that expose the jaw and having the scarf pointed at the top – so triangle styled hijabs or circle style hijabs – if you wear glasses, most definitely avoid this look!!! If you are slightly chubby around the cheeks, ensure that the scarf is not put horizontally as it will give a rounded and unattractive look. Try diamond style but try to narrow the scarf around the cheeks which will help the face look narrower and more balanced out. This look works beautifully if you wear glasses. Try wrapping scarves loosely, they look great on round faces – use a hijab cap to stop hair showing but don’t have the cap on show! 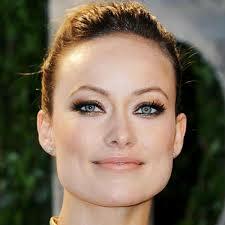 Try showing the forehead more and use a style that makes the cheeks narrower but does not make them disappear! Turkish style hijabs look great on round faces as do Moroccan styles. Try an Egyptian layered style of hijab which looks stylish and elegant. Be a bit adventurous and try a scarf with tassels, wear it in such a way that the space between your chin is balanced. Avoid circle style hijabs that go around your face as this will make your face look chubbier (definitely something you do not want!) by showcasing the widest part of your face. If possible avoid headbands, under-caps and bonnets that cover the forehead as this will make your face wider and shorten your face. If you need to wear one to keep hair away, make sure to keep it hidden! Do not go for rectangular styles as this highlights your forehead thus making it look wide and making the face short lengthwise. Avoid tight fitting hijabs which will make your face look fuller. Do not expose the neck as this will also make face look chubbier. First and foremost, we love this shape, it looks so cool and it is not an exceptionally common shape. One of my best mates has one as well, she always would complain about her face shape, however she looked years younger then her actual age. Even now people could easily mistake her for early 20s! (she is 30). Hijabs for this face shape usually look really cool in a looser style of hijab – you can wear a hijab a little bit high up, just below the hairline ad wrap the hijab loosely around the jawline to give a soft and pretty look to the face. Try pins that are pinned beneath the chin to increase the jawline and for an extra chic look add a small point near the forehead. Avoid rectangular styled hijabs, as this will expose the whole of the forehead, making it look larger than the face length which will automatically shorten the face. 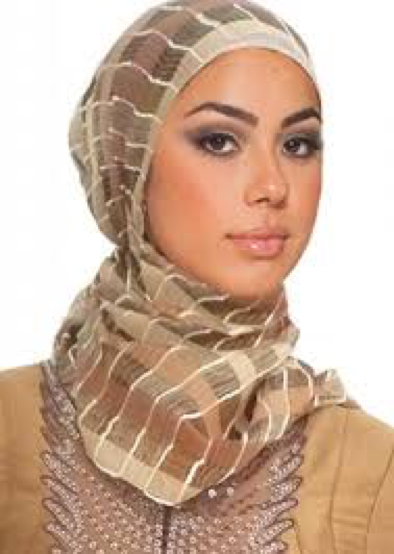 Rectangular style hijabs also cause a further problem that your hair might show and thus wisps of hair may come out. Avoid covering the eyebrows and cheeks as this will only make them look chubbier. 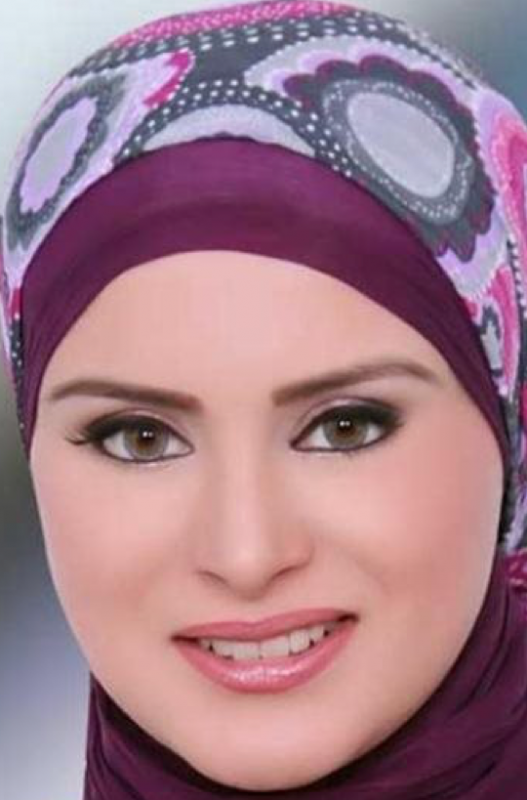 Do not wear a Turkish style hijab as this gives an illusion of a wider forehead and looks quite horrible to be honest! Similar to the rectangle – but with a more masculine edge. Therefore, you want to ensure both the jaw corners have the hijab draping in front of the jaw angles so that the look is softened. 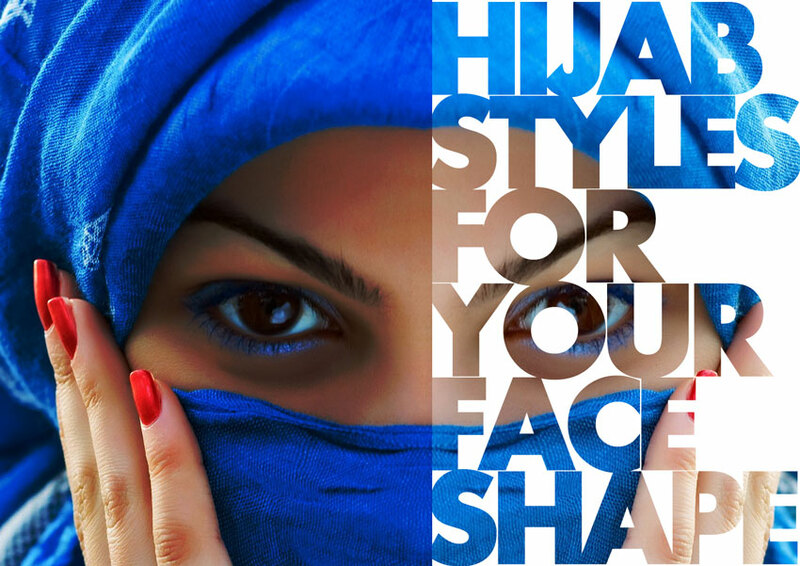 Try wearing your hijab higher up as square faces usually have a shorter forehead. Try using pastel or colours as these can also soften and minimise the masculine jaw. Try creating folds around the jaw line this will give you an overall softer look as well. Avoid any hijabs that would give you a sharp look at the angles of the jaw as this will accentuate the masculine jaw. Avoid any tight hijabs as this will once again make the jaw line prominent e.g. Turkish hijabs would do this. Try to avoid flashy colours as well! The bottom jaw and chin have soft angles therefore try to pin or wrap the hijab in such a way that it is behind the angle of the jaw. Cheeks in this face shape are always a lot more prominent therefore try not to cover too much of the bottom half of your face. Do not try to cover up the soft angles of your face. Instead wear a hijab that is simply wrapped. Finally, Fat Cat says: Experiment with styles, the above are guidelines to help you. They have helped many people but do not have to be taken as written in stone! It is good to experiment as other styles can end up looking good on an individual person. This entry was posted in The Hijab Diaries and tagged Face Shapes, Hidden Pearls, Hijab Styles, Hijabs. Depression – An Islamic Perspective? Thank you for the information. I am going to refer my friend to this site for guidance. This is the best and the most informative site we have come across.